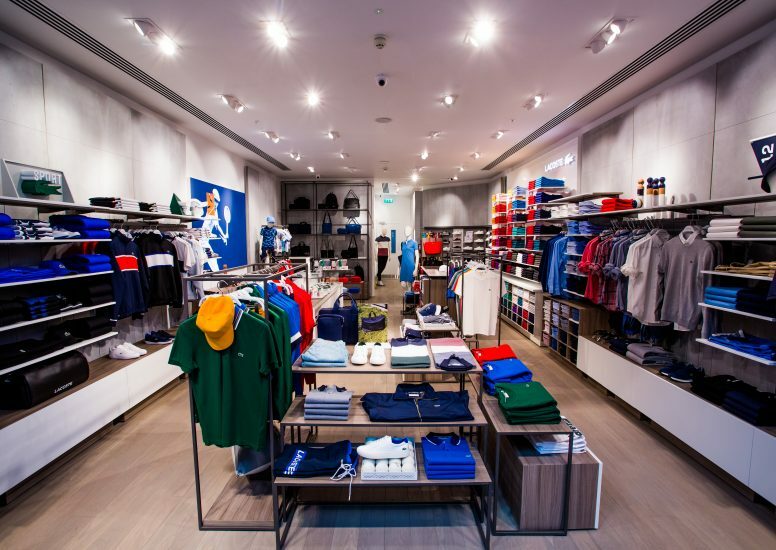 D4R have just implemented the latest Lacoste aesthetic in their newly relocated store in Birmingham’s Bullring. The interior has been completely refreshed with new fitting rooms, décor, fixtures, flooring and signage. 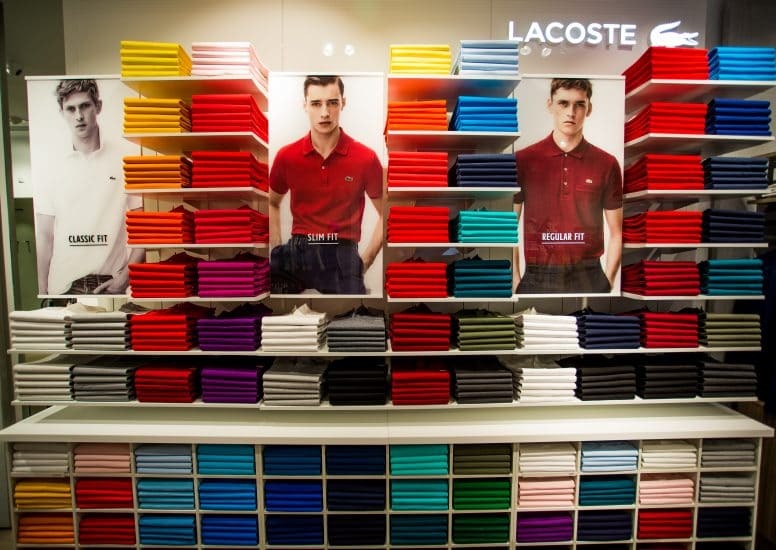 The new store has been executed to the highest quality with key attention to detail, in—keeping with the Lacoste brand. 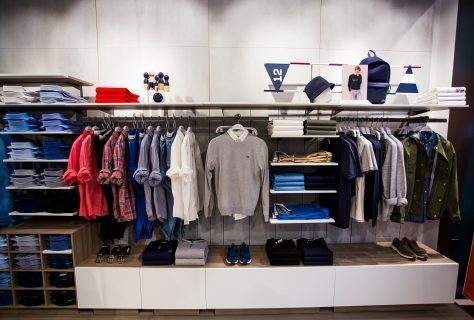 In store products have been categorised using bespoke furniture and display units. The mixture of dark metal and soft wood acts at a neutral palette to complement the iconic bright colours of the Lacoste polo; a statement in every store. 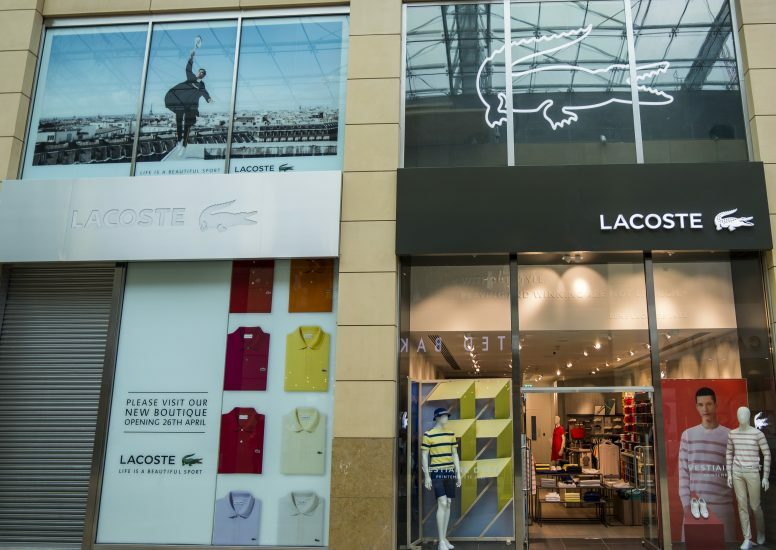 The store exterior has a key design feature, an impressive 3x2 metre illuminated croc logo in the upper glazing. 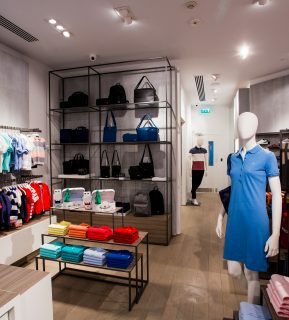 Overall the new store is refreshed, light and open creating a desirable store environment. The new store opened earlier than planned which is a great achievement with any project.